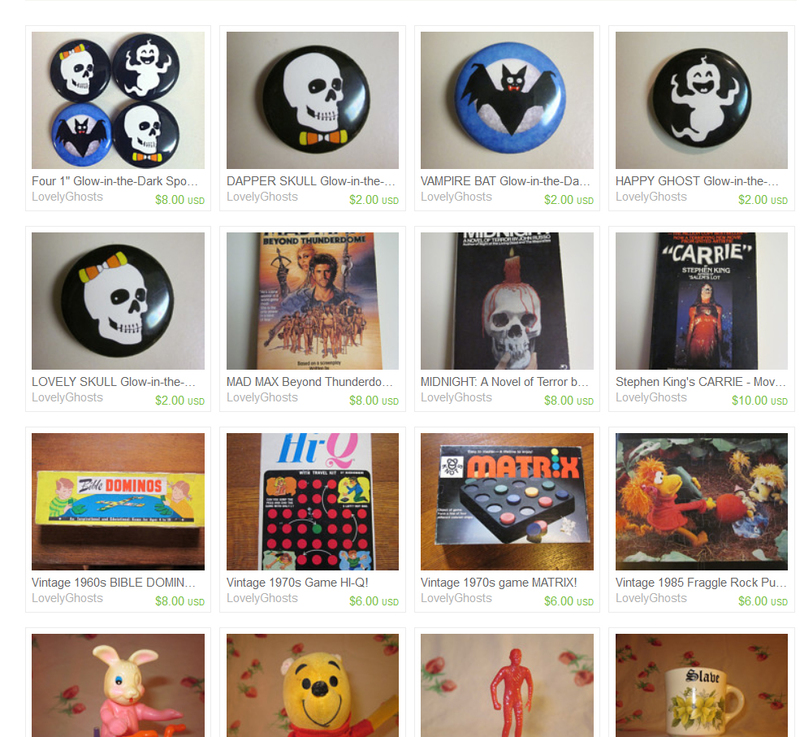 Hey, everyone – I just wanted to let you all know that my wife and I have opened an Etsy store called LOVELY GHOSTS! It will feature vintage toys, books, horror items, glassware, you name it! It will also be the place to buy items of my personal design like pins, prints, t-shirts and the like! So come and check it out at lovelyghosts.etsy.com! Right now I have some spooky 1″ glow-in-the-dark buttons I’ve designed! Come gets yours before I run out! BLOODY DREADFUL #3 on ComiXology! DID YOU KNOW: That BLOODY DREADFUL #3 will be releasing tomorrow on ComiXology? No? Well, guess what? 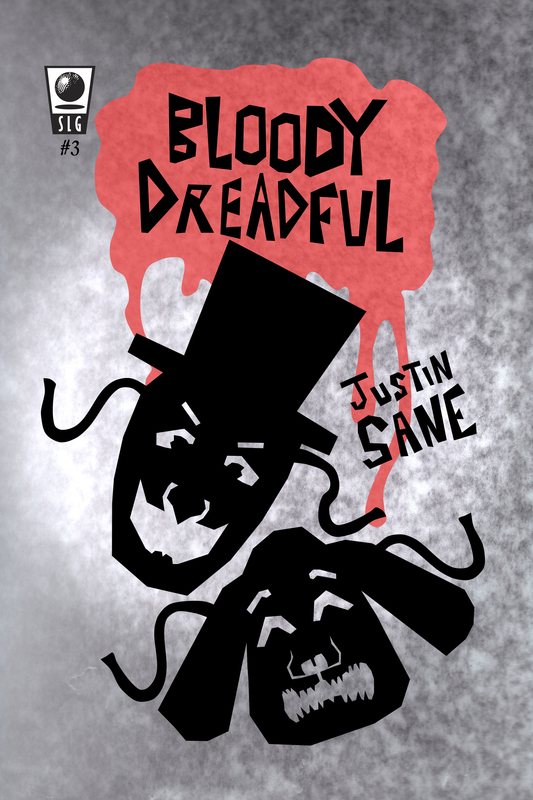 BLOODY DREADFUL #3 will be releasing tomorrow on ComiXology! CLICK HERE TO SEE ALL MY WORK AVAILABLE ON COMIXOLOGY! “No Small Parts: Act One” tells the story of drama critic Arthur Yates, who attempts to blackmail legendary actor Vincent Hollow into revealing the secrets behind his uncannily realistic stage makeup! You can either wait until tomorrow to read this tantalizing tale of terror, or you can just go to Amazon and buy a physical copy of the combined issues #3 and #4 (which is not even available on ComiXology until next month!) in one vomitous volume – as BLOODY DREADFUL: BOOK TWO! Brought to you by your pals at SLG Publishing!